The Our Lady, Undoer of Knots Celebration Giveaway has ended, and it’s time to announce the five fortunate winners! 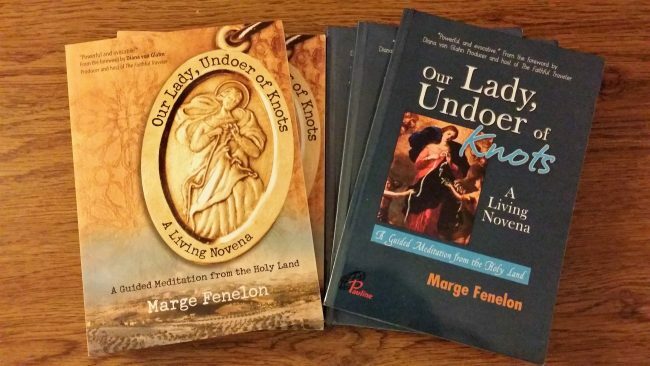 Three winners will receive a copy of Our Lady, Undoer of Knots India Edition and two will receive a copy of Our Lady, Undoer of Knots, USA Edition. Editions will be chosen at random and will ship very soon. Thanks to all who participated in the giveaway. It was a great success and I’ll be running more such fun events in the future! In the meantime, congratulations once again to the winners and to all of you a most Joyous Easter Season!